WHA-HOOOOO!!!!!! Readers, Captain America: Civil War has to be one of the absolute BEST Marvel movies ever!!!! I will attempt to keep the spoilers out of this review, and start my character analysis posts somewhere in the middle of the summer, when more people have had time to see the film. But I will “spoil” one thing here: in the movie, NO AVENGERS DIE!!! YAY!!!!!!!!!!!!!!!!! Okay, with the enthusiastic fan victory lap out of the way, we can get to the meat of the matter. Civil War is a movie so action packed it is almost too heavy on the fighting. Almost. The Russos just manage to keep Cap at the center of the whirlwind, despite the number of players within the story. That being said, Tony probably takes second place to Cap in this tale. His arc is the most painful to watch, since his actions are the primary reason for the major conflicts in the film. Cap’s journey is much less agonizing; not once did he compromise his moral compass, even at the end of the climactic battle in the HYDRA base. This was the best part of the film, second only in one other factor, which I will mention momentarily. In an era when the ‘intellectuals’ want Americans to ‘get with the times,’ and submit to the angst-filled, beaten, and beastly façade that they insist is the new America, Steve Rogers remains “bloody, but unbowed.” (This quote is from a poem called Invictus, written by William Ernest Henley. Invictus is Latin, and loosely translated, it means “undefeated,” “unconquerable,” or “indefatigable.” You can find the full poem somewhere on my blog if you wish, readers.) It is nice to have a hero who is so thoroughly American that it is impossible to ruin him – not without losing tons of money, anyway. The second great thing about Civil War is that it has a hopeful ending. Notice I did not say it has a happy ending; that is up to the individual viewer to find, if they can. But it does have a hopeful ending. And as Napoleon said, “A leader is a dealer in hope.” And I have to say, in the United States of America, we never needed hope as much as we do today. The assaults are coming thick and fast from every conceivable direction – and even from some heretofore inconceivable angles. It is too bad Steve Rogers is a fictional character. We could sure use an American Galahad right about now. But if we have to settle for one who dwells on the silver screen, I think we can live with that. Ant-Man’s character arc in his own film last year was so well done that we did not need much of an introduction to him this time around. Still, he does grow a little here (there is a pun in this statement). For a previously solo act in the super-powered sphere, he shows he can adjust to working with a team fairly well…. But he and Hawkeye still have some teammate issues to figure out. Though we missed Pietro’s presence in this film, there were others we did not miss. Spider-Man’s character arc, while limited, adhered to his roots – for once. He shows he is greener than either Wanda or Scott Lang, but he has as much “heart” as either of them. I am not sure I buy the method Tony used to recruit him. Though it is quite Stark-esque, it almost grated on my nerves, since I wanted to see more of Cap and felt dragged away from him by the detour to pick up the webslinger! Black Panther fans need not fear for his character. This longtime ally and friend of Steve Rogers came through the movie fantastically. 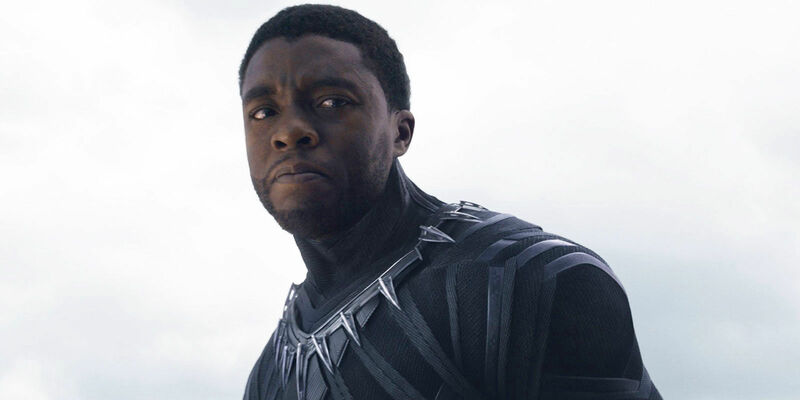 In fact, one of the friends who watched this film with me came to admire him during the course of the story, when said friend had previously stated that T’Challa was “boring.” Bonus points for an already great part in an excellent film!!! On the subject of characters who came out well in the movie, Natasha pulled through with flying colors. She may still be fighting the Soviet mold, but she proved that she can conquer it. 😉 GO BLACK WIDOW!!! Let’s see – who did I miss? Ah, Rhodey! Other than his influence on Tony, Rhodey came across as rather dense in this film. His reasons for signing the Accords were beyond dumb. The U.N. is nothing like SHIELD, which is quite a compliment to the spy agency. But the World Security Council had plenty in common with the U.N. And the fact that Rhodey cannot see this is very sad and does his character no favors whatsoever. Sam Wilson, however, has the sight of his codename. No way is the Falcon going to get hoodwinked that easily. Speaking of Falcon, his little drone, Redwing, is a very neat addition to the team. Too bad it’s not a bird, as it is in the comics. Sam’s character arc is fun to watch and harkens back to his days of Avenging as Cap’s particular partner in the older comics. He proves he is an able field commander and combatant in Civil War, and I think it will be hard for the writers to top his part in this film. I think the only hero I have not covered yet is the Winter Soldier. Yes, I called him a hero. He is an abused hero, but a hero all the same. It is odd; I actually related better to him in this film than I did in The Winter Soldier. He was someone to be pitied in that film. In Civil War, compassion comes into play more, as he gets to actually show some personality this time. He is not the same man he was in World War II, and he can never be that person again. But neither is he the coldly terrifying hunter of men we saw in Cap 2. On the whole, this portrayal of him is probably the best one yet. Now, about those villains…. contrary to popular statements, I do not think Tony qualifies as a villain in this film. I would not even put him down as an antagonist. He sets off Civil War as he set off Age of Ultron: through childish hubris, an overly guilty conscience, and blind fear. A little anger is mixed in at the end of the film, rather understandably, making him emotionally revert to being a young boy again. Cap’s treatment of him reflects that. The ending of the film is substantially different than the end of the comic book war, for which I am grateful. From what I know of the comic book conflict, I think I can say the film’s ending is by far the better one. I know I will not be reading the Civil War comics – the first collection or the second set Marvel Comics is preparing to release sometime soon – when I can watch this film! As painful as the fight between the two heroes is, for me, there is a slight sweetness amid the sorrow. Cap came through the fight bloody, but in one piece – physically, mentally, and morally. If only the comic book writers were willing to treat him so!!! General Thunderbolt Ross does not appear to be a villain in Civil War, as he did in The Incredible Hulk. He does not scream and roar, nor skate on the edge of an apoplectic fit, the way he did in that movie. But his goal is no different now than it was before: he’s a trigger-happy jerk who wants control of the best weapons he can find. And the “best weapons” he can “find” are the Avengers. The irate General turned Secretary of State just made my I-want-to-punch-this-guy-list; he has outstripped even Loki. Now that is a feat! Helmut Zemo – no baron in this movie – is a complete villain. They try to win the audience’s sympathy for him throughout the story. But for my part, I saw nothing I was able to even remotely empathize with in his character, and their attempts were little short of window dressing. 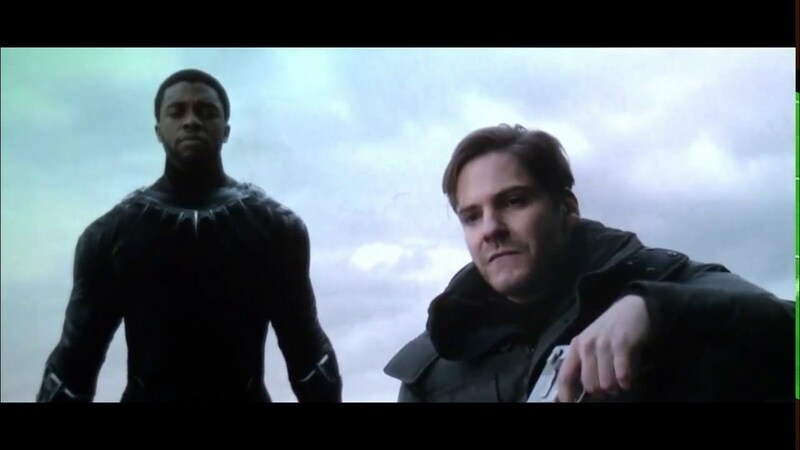 If you want my opinion, Zemo was born with a soul as black as the pits of Hell. The guy is Evil, with a capital E, no two ways about it. He is not dangerous for his powers – he has no enhancements as of this film. He is treacherous simply because he is intelligent and pure evil. Zemo is a totally terrifying villain. I do not know how Thanos can possibly upstage him – but I suppose that he will, somehow, manage to do that. If you can, readers, you have got to see this movie while it is still in cinemas!!! And do not forget to stay for the mid and end credit scenes! As a side note, I will be leaving my “Whose Side Are You On?” poll open until December 2016. So if you have not yet chosen a side, now is the time! This entry was posted in Marvel Comics' Characters and Stories, Movie Reviews and tagged Ant-Man/Scott Lang, Anthony Mackie, Black Panther/King T'Challa, Black Widow/Natasha Romanoff, Captain America/Steve Rogers, Captain America: Civil War, Chadwick Boseman, Chris Evans, Chris Hemsworth, Crossbones/Brock Rumlow, Don Cheadle, Falcon/Sam Wilson, General Thaddeus Thunderbolt Ross, Hawkeye/Clint Barton, HYDRA, Iron Man/Tony Stark, Jeremy Renner, Kevin Feige, Martin Freeman, Marvel, Marvel Cinematic Universe, Marvel Comics, Marvel Comics' Characters and Stories, Marvel films, Marvel movies, Movie Reviews, Paul Bettany, Paul Rudd, Peter Parker/Spider-Man, Robert Downey Jr., Scarlet Witch, Scarlet Witch/Wanda Maximoff, Scarlett Johansson, Sebastian Stan, SHIELD, Soviet Russia, superheroes, superpowers, The Russo Brothers, The Scarlet Witch, Tom Holland, Vision, War Machine/ James "Rhodey" Rhodes, Winter Soldier/Bucky Barnes, World War II on May 19, 2016 by The Mithril Guardian. Greetings, readers! Today I once again find myself wandering through The Hobbit films. This time, though, the focus is on the most important Man in the films, Bard the Bowman. Well, we did not get to see him in An Unexpected Journey, but by the middle of The Desolation of Smaug, there he was. He came up on the Dwarves nice and quiet after they had escaped the Wood Elves – and he managed to not only intimidate Dwalin with a well shot arrow but also to startle Kíli, the Company’s only archer! It takes some work, but Balin eventually convinces him to smuggle the Company into Lake-town. The good old Dwarf’s only mistake is to mention Bard’s wife, who has been dead for some years. But, despite that mistake, Balin gets them passage to Lake-town on Bard’s barge. And Bard, just like in the book, stays true to his word. He gets them safely into Lake-town – though they probably smelled strongly of fish for a few hours after! … and finds he is sheltering the dispossessed King under the Mountain in his home. He also recalls the prophecy which states that, although the King under the Mountain “shall come into his own,” the lake “will shine and burn.” Which means his family and the people of Lake-town are in serious trouble. But, just as in the book, no one heeds Bard’s warnings. He is always predicting all manner of disasters, they say, which never come to pass. Why should this be any different? Disappointed by his people’s blindness and the determination of Thorin to enter the Mountain no matter what, Bard leaves the Company to be celebrated by the townspeople. He and his children do not see the Company off but remain at home, where Bofur, Fíli, and Óin find them some time later. But when he sees Kíli’s condition and learns that no one else will help the four Dwarves, Bard’s compassion overrules his frustration. He lets them into the house once again, and does his best to help them with Kíli’s injury. When the Mountain starts to rumble, however, Bard realizes that Smaug is awake. Though the dragon has not left the Mountain in years, with a Company of Dwarves disturbing his rest, it is all too probable that he will leave his hoard to attack Lake-town. And with that in mind, Bard unveils the great Black Arrow that has been passed down through his family since the time of his great forefather, the last King of Dale, Girion. My only issue with the Black Arrow as portrayed in the film was that it was too big. In the book, the black arrow was an ordinary arrow. It was, apparently, made of iron, but otherwise it was an ordinary arrow. Still, before Bard can prepare the Arrow for firing, he is captured by the Master of Lake-town and his servant Alfrid, who are hoping to ruin Bard’s reputation with the Lake Men. Unknown to the Master, however, Bain has hidden the Black Arrow and returned to the house – in time to run into a bunch of Orcs and two Elves. It is going to be a long night. Thinking they have removed the last obstacle to their power, the Master and Alfrid congratulate each other on locking Bard up. But in doing so they only succeed in leaving Lake-town largely defenseless when Smaug attacks. Bard, however, manages to escape his cell – proof that you cannot keep a concerned, loving father locked up when his family is in danger. Grabbing a bow and a quiver full of arrows, Bard is the only one to challenge Smaug as the dragon sprays the wooden houses with fire. As Tauriel and the Dwarves work to get Bard’s children out of the flaming town, Bain spots his father firing on the dragon. He points him out to the others in the boat, and Kíli sees one of his arrows strike the dragon. But Tauriel tells them that though the shot was well aimed, it cannot pierce the dragon’s scales. From where she sits, it appears that Bard is a deader. That is when Bain sees the boat where he hid the Black Arrow, still afloat and undamaged. Without a word, he jumps out of the boat carrying his sisters, the Dwarves, and their Elven guard. Going to the boat, he grabs the Arrow and climbs up the bell tower to his father. Bard first chastises his son for coming back to him, then smiles when Bain holds up the Black Arrow. He then has to keep his son safe when Smaug whacks the bell’s tower, taking off the top of the tower and the bell. Bard picks up the Arrow, then finds his bow has snapped. And reveals the missing scale in the left side of his chest. Bard takes aim at the space and, as Smaug jumps into the air, fires. The shot is true and Smaug dies – conveniently landing on the Master as he tries to escape Lake-town with a boatload of gold, removing him from the film as well (fare thee well, Stephen Fry). By dawn, the survivors of Lake-town have reached the lake shore. Bard’s daughters go into the crowd, searching for their father, as Alfrid tries to become the new Master of the Lake Men. Remembering his conduct of the night previous, when he tried to escape the town on the Master’s barge (since they needed to lighten the load to get through a particular channel, the Master tossed him overboard), the Lake Men are not going to just roll over and accept Alfrid as their new Master. When one woman tells that to Alfrid’s face, he prepares to strike her – only for Bard to stop him. Reunited with his daughters, Bard is acclaimed the hero of Lake-town. The people begin to chant “King Bard! King Bard!” Alfrid, trying to keep himself in a good position, joins in the chanting. The crowd goes absolutely silent, and Bard shoots him a disgusted look. That is when the people come up with the happy idea of hanging Alfrid from the nearest tree. They grab him, hoist him over their heads, and start off, Alfrid screaming for mercy as they do so. I was looking forward to what Bard would do in this scene. I knew what he had done in the book, and I was really hoping he would behave in a similar manner in the film. Peter Jackson did not disappoint me. Bard stops the Lake Men, reminding them that there has been enough death and counseling them to have at least a little mercy for Alfrid. However, a little mercy does not include liking him, as Bard proves when Alfrid tries to lean on him as a friend and Bard dumps him on the ground. With that matter settled, Bard leads the people to the ruins of Dale, hoping to get them to something resembling shelter, since winter is setting in. But the ruins are little help against the cold, and the Lake Men have few supplies. Bard decides that he will go to Thorin and ask for the recompense he promised the Lake Men, so that they can get about surviving the winter and rebuilding Dale and the Lake-town. Then, just to make sure Alfrid will pull his weight, Bard puts him on guard duty. In the morning, he discovers that this was a lousy idea. In the night, Alfrid slept, and an army of Wood Elves has taken up residence inside Dale. Not long after making this discovery, Bard meets Thranduil who, perhaps recalling Thorin’s stinging rebuke about how little he helped the Dwarves after Smaug took the Lonely Mountain, has brought supplies for the Lake Men. Bard, in gratitude for Thranduil’s aid to the Lake Men, agrees to help him get his own compensation from Thorin. However, Bard wants to at least try to get what was promised to his people without a war. He rides up to the front entrance of the Lonely Mountain, which Thorin has had sealed off. There he begs him to remember that he gave his word, that the people of Lake-town have paid dearly for helping him and his Company, and now they need Thorin’s help. But Thorin’s natural weakness for gold – in the film it is repeatedly called “dragon sickness” – prevents him from feeling any pity or compassion for the people of Lake-town. Nor, for that matter, does he feel any need to repay Bard for his help: first in bringing the Dwarves to Lake-town, then in sheltering Fíli, Kíli, Óin, and Bofur when no one else would. Aggravated, Bard returns to Thranduil and reluctantly agrees to join the Elven King’s attack on the Lonely Mountain at dawn. Though Bard does not want to go to war with the Dwarves, Thranduil has helped him and his people. They owe the Elven King for that, and Thorin still owes Bard’s people the gold he promised them. He knows he has gotten mixed up in the grudge match between Thranduil and Thorin; he also knows there is no way he can get out of it without him and his people being left to die off slowly throughout the winter. Gandalf’s arrival only makes matters worse for him. Bard learns from the wizard that an army of Orcs is headed for the Mountain; their leader wants to kill Thorin and he is willing to go through everyone in and around Erebor to do it. The situation is looking grimmer by the second when Bilbo suddenly arrives. He presents Bard, Thranduil, and Gandalf with the Arkenstone, the one treasure in the hoards of Erebor which Thorin desires above all else. Bilbo seems certain that Thorin will hand over the treasure he owes Bard and Thranduil in exchange for the Heart of the Mountain. With a bargaining chip such as this, Bard hopes they have a way of avoiding war with the Dwarves. But Bilbo’s plan, while not worthless, has the undesired effect of making Thorin even more determined to go to war. This is made apparent when Thorin’s cousin, Dain Ironfoot, arrives with an army of five hundred Dwarves from the Iron Hills. War among the three races is about to commence when the Orcs arrive. Instead of turning against each other, however, the would-be enemies turn to face the Orcs whom they all recognize as a threat greater than their grudges and broken promises. When Azog sends an Orc battalion into Dale to attack the Lake-town survivors, Bard’s first thoughts are for his people and, most especially, for his son and daughters. He leads his men into battle against the Orcs and still manages to come to the direct defense of his three children. Throughout the rest of the Battle of the Five Armies, Bard holds the Orcs who enter Dale within the ruined city, eventually destroying them all while preserving the lives of his children and most of his people. Nothing more is mentioned about Bard in the film, unfortunately, but I do know a few details from the book(s) which may interest you, readers. After the Battle of the Five Armies, Bard and his people did receive the recompense from the Dwarves that they were promised. Dain, who became the new King under the Mountain after Thorin’s death, honored his cousin’s promise to the fullest extent. Bard gave some of the jewels Dain returned to him – emeralds which were heirlooms of his family – to Thranduil in gratitude for his help during the Lake Men’s time of need. With all this new wealth, Lake-town was rebuilt, and its new Master “was of wiser kind” than the former. Trade between the Woodland realm, Dale, Lake-town, Erebor, and the people to the South resumed – pretty soon, gold was running as thick as the river was deep! The people were all rich beyond imagining. Bard became king of the rebuilt Dale, and Bain succeeded him when his time came. Bain was then succeeded by his own son, Brand, who ruled Dale up to and during the War of the Ring. A few months prior to the War of the Ring, messengers from Sauron came to Dain and Brand, asking them to find the One Ring, since they were acquainted with Bilbo at one time. Neither the King under the Mountain nor the King of Dale gave Sauron’s messengers a satisfactory answer to this “request.” When the messengers left, they promised retribution if the two kings did nothing to aid Sauron. The reprisal came during the Fellowship of the Ring’s travails. Dale and the Lonely Mountain were both attacked several times. In one of the final engagements, Dain and Brand were killed where they fought side by side against the Orcs. Thorin III (Thorin Oakenshield was Thorin II) and Bard II, Dain’s and Brand’s sons respectively, then became the King under the Mountain and the King of Dale, after leading the final assault against the Orcs. At the same time Dale and Erebor were under attack, Thranduil’s realm was also assailed a number of times, but each attack was successfully repulsed. With the fall of Sauron, Mirkwood was renamed Eryn Lasgalen (which means ‘wood of green leaves’), and life in the North went back to normal. But this normal would not have existed if thirteen Dwarves and one Hobbit had not driven the great dragon Smaug out of the Lonely Mountain; and if one Man had not taken aim at the dragon and found his one weak spot. Without Bard, even driving Smaug out of the Mountain would not have been enough. If Smaug had been allowed to remain in Erebor, all the North would have become his domain while he was under Sauron’s control. As Gandalf said at the beginning of The Desolation of Smaug, the dragon had to go, or Middle-earth would pay dearly for his staying under the Mountain. This entry was posted in Movie Reviews and tagged Aidan Turner, Bain, Bard the Bowman, Bilbo Baggins, daughters, Dwarves, Fili and Kili, Gandalf, J.R.R. Tolkien, Luke Evans, Martin Freeman, Richard Armitage, The Hobbit, The Hobbit: The Battle of the Five Armies, The Hobbit: The Desolation of Smaug, Thirteen Dwarves, Thorin Oakenshield on May 15, 2015 by The Mithril Guardian. I am more remiss in my posts about The Hobbit films than I am in anything else – with the exception of Pacific Rim and Star Trek Into Darkness. I had meant to write some posts about The Desolation of Smaug, but with my excitement over the upcoming Avengers: Age of Ultron, I got distracted and did not write them. But better late than never, as they say! Also, it might have been a good thing to have waited this long to post anything about The Hobbit film franchise. There were a lot of things hinted at in The Desolation of Smaug and, even though I have read Tolkien’s The Hobbit, I was not sure where Peter Jackson and his crew were going to go with The Battle of the Five Armies. Now I know, since I saw The Five Armies not too long ago, and I am ready to write about the films again. Now, to the subject of this post – Kíli and Tauriel. Tauriel is not in any of Tolkien’s original works; she is a character made specifically for the film franchise. Like some Hobbit and Lord of the Rings fans, when I heard about her and some sort of a love story or love triangle being part of the movies, I got nervous. I will not say I am a “purist” – someone who believes the movies should align exactly to the books – but I did not want the spirit of Tolkien’s epics marred in any way. Under the wrong kind of direction, I was sure that Tauriel’s part in The Hobbit films would be an unmitigated disaster. Thankfully, Tauriel worked out just fine for the films. At six hundred years old, Tauriel is a fairly young Elf. In fact the actress who portrays her, Evangeline Lilly, is reported to have once referred to Tauriel as a “baby.” Tauriel has great fighting skills but she has never really left the Woodland Realm of her king, Thranduil. Oh, yeah, and Legolas has a crush on her. So he is not at all happy when Tauriel and Kíli start a Romance Reel. This begins when the Woodland Elves rescue Thorin and Company from the spiders in Mirkwood. They round up every Dwarf except one: Kíli. Poor Kíli still has a spider chewing on his boot as it tries to drag him off. Before any of the Dwarves or Legolas’ company can react, Tauriel enters the scene. She kills the spider which is so determined to have Kíli for breakfast, then finishes off several more that attack the lone Dwarf. Kíli’s response to this is an awed look at the Elf woman. Hard to say whether he was more impressed by her fighting skills or her amazing looks, but I think it was probably a combination of the two. Tauriel does not respond to him, but the expression on her face suggests she is pleased that he is so impressed with her. The flirting does not stop there. Once taken to the Elves’ dungeon, Tauriel is the one to lock Kíli in his cell. When Legolas asks her why “that Dwarf” is staring at her, Tauriel responds that she has no idea, then mentions that he seems taller than most Dwarves. Legolas replies that while Kíli may be taller than the average Dwarf, he is no less ugly. Sorry, Legolas, but that is hardly cause for dissuasion! Tauriel proves the truth of this when she goes to visit Kíli in the dungeons after Thranduil tells her not to answer Legolas’ romantic advances – or else. For her part, Tauriel certainly seems to like Legolas; she just does not appear to be romantically inclined toward him, as he is to her. During her conversation with Kíli in the dungeons, her romantic feelings are definitely directed toward “that Dwarf.” And, listening from the shadows above Kíli’s cell, Legolas is not very pleased with that. Once Bilbo frees the Dwarves and gets them into the river, Tauriel and Legolas, along with the Elven guard, pursue the Company. The Dwarves are stopped at a river gate guarded by Elves, where a party of Orcs, led by Azog’s son Bolg, attacks. The Orcs kill the Elves guarding the river gate and, trapped where they are, the Dwarves cannot defend themselves very well or escape either group of pursuers. Kíli decides to fix this problem. He gets out of his barrel and climbs up to the lever that will open the gate which has the Company trapped, intending to open it and drop back into his barrel. Along the way Fíli protects his younger brother by killing an Orc with a knife. Earlier in the film, when the Wood Elves disarm the Dwarves, Fíli is revealed to have knives of various sizes stashed all over his person. And the Elf who pushed him into his cell had to stop to remove yet another knife from his coat. It was a very cute touch to the film! Kíli reaches the lever at the same time Bolg shoots him in the leg with a poisoned arrow. Tauriel then keeps the Orcs away from Kíli long enough for the young Dwarf to open the grate and drop back into his barrel. Then she watches as he and his Company are carried downstream past the border of Thranduil’s realm, clearly wanting to follow them and just as clearly torn by the fact that she cannot do so. But she does follow them once she learns that the arrow Kíli was hit with was poisoned (gleaned during an interesting interrogation scene with Thranduil, Legolas and a captured Orc). Legolas in turn follows her, and together the two enter Lake-town. They find the Dwarves at Bard’s house, just in time to fight off Bolg and his Orcs. While Legolas pursues Bolg, Tauriel remains behind as Kíli’s condition worsens. Tauriel then uses the athelas found by Bofur to heal the young Dwarf’s injury and learns that Kíli has fallen in love with her. It is a love she signifies is returned with a simple hand grip. The whole moment is ruined by Smaug as he attacks Lake-town in retaliation for the Lake Men’s aid to Thorin and his Company, which allowed them to reach the Lonely Mountain. Tauriel helps Óin, Fíli, and Bofur get Kíli and Bard’s two daughters safely to the lake shore. Once there Kíli, much improved in health despite the night’s events, asks her to come with him to Erebor. When Tauriel tries to turn away he adds something in another language which brings her up short. I am not sure whether he spoke Dwarvish or Elvish (it sounded Elvish to me). Whether or not he was using Sindarin or Khuzdul, Tauriel’s whole “I don’t understand you,” argument was more than somewhat useless because Kíli’s meaning was completely clear: one way or another he told her “I love you.” And she knew it. Why else would she come to a halt like that? But the moment is dimmed when Legolas joins the two and tells Tauriel it is time to leave. Before he lets her go, however, Kíli gives her the token stone his mother gave him, as a promise of his love for her. Later, when he and the others arrive at Erebor, Kíli seems much less enthralled by the treasure hoard than his uncle or even his older brother. All the gold under the mountain cannot replace his love for Tauriel with the gold-lust which is a natural weakness the Dwarves of Middle-earth have. Now, as I said, I have read The Hobbit. Not in quite some time, but I have read it. I knew Fíli, Kíli, and Thorin were all going to die. I just did not know how. I also knew that, because the three had received so much time onscreen, getting their characters expanded – plus Kíli and Tauriel’s love story – meant that watching them die was going to hurt. Really, really hurt. I was more right than I guessed. I had to make myself watch Fíli’s murder. He did not receive as much screen time in theaters as Kíli did, but I imagine the extended versions of the films will have more scenes for him. And he was a fun character, mostly because he was so playful. Once he separated from Kíli after Thorin sent the two of them to scout for Orcs, I knew he would be the first of the three to die. I also knew that Kíli was going to be furious when he found out his older brother had been killed. I did not realize he would get to see Fíli’s body land at his feet, but I knew he would fly at the Orcs in a rage over the murder of his brother. When Tauriel challenged Thranduil and told him he was not going anywhere while the Dwarves and Men still needed help against the Orcs, I figured she would be there when Kíli died. I was impressed when Legolas told his father he was going with Tauriel to help the Dwarves. He obviously still loved Tauriel, but he also knew she loved Kíli. In which case, if she wanted to be with the Dwarf, Legolas was not going to stop her. He would always love her, but he would not separate her from Kíli just to have her for himself. Or, if not that, he intended to have it out with Kíli when the Orcs were all dead to see which one of them Tauriel really did love. But if that was his intention, he did not have that chance. Having been saved by Tauriel so many times, Kíli ended up repaying the favor when Bolg attacked her and had her on the ropes. With Tauriel too injured to help him fight Bolg, the big Orc was able to catch and hold Kíli long enough to stab him through the heart with the spike on the end of his mace. I actually thought Kíli had the best death of the three Dwarves in the film. Fíli was murdered, plain and simple; he never got a chance to fight back and Azog did not let him die with even the small honor of defending himself. Thorin had a good death – he got to avenge his grandfather and his nephew, then got to see his old home restored to his people. That scene actually made me think of how Moses got a look at the Promised Land before he died, which was a nice touch on the filmmakers’ part, even if they did not write the scene with that in mind. But of the three, Kíli alone died for love. He died protecting Tauriel not only from death, but from whatever wicked machinations Bolg had going through his mind with regard to her. I do not know exactly what would have happened to Tauriel if Bolg had decided to have “fun” with her prior to killing her, but considering that the Orcs are descended from warped, corrupted Elves, the outline of that picture is not pretty. Kíli died making sure she had a chance to fight back, which ended up buying Legolas the time he needed to get into a fight with Bolg when Tauriel became incapacitated after trying to kill the big Orc herself. I really think Kíli had a good death; something Hollywood has forgotten to show us these days. Most death scenes in the movies of today are violent and focus on the pain the characters feel when parting from this world and those in it they love. Few movies these days show the audience that there is no better reason to die than for the love of another, and Kíli died with his eyes on the Elf woman he loved. I do not know how reasonable it was for the filmmakers to have him tell her he loved her as the spike was going into his chest, but all the same, it was a nice touch to a very poignant scene. It was also nice to have Thranduil swallow his pride long enough to tell Tauriel that she really was in love with Kíli, since his death grieved her as deeply as it did. We are not told in the movie what happens to Tauriel after the Battle of the Five Armies; whether she went back to Mirkwood or instead to the Grey Havens, or whether she died sometime after the Battle. For myself, because I really enjoyed the romance between her and Kíli, I like to think she went to the Grey Havens and from there to the Undying Lands, to wait until the time when she and Kíli could be together again. This could also be achieved by her dying of grief (Elves actually can die of grief, which I found surprising). I do not think, however, that she would take that particular road. At least, not from what we last saw of her in the final installment of The Hobbit trilogy. This entry was posted in Movie Reviews and tagged A Elbereth, Aidan Turner, Bilbo Baggins, Dwarves, Evangeline Lilly, Fili and Kili, Gandalf, Gilthoniel!, J.R.R. Tolkien, Legolas, love story, Martin Freeman, Tauriel, Tauriel and Kili, The Hobbit, The Hobbit: The Battle of the Five Armies, The Hobbit: The Desolation of Smaug, The Lord of the Rings, Thirteen Dwarves, Thorin Oakenshield, Thranduil on May 1, 2015 by The Mithril Guardian.